Elai Adai aka Vazhai elai Adai or Elai Kozhukattai is a speciality in “Palakkad Iyer” homes. This is typically made during this season when jackfruits are abundant! Rice flour batter layered with jackfruit, coconut jaggery compote smeared on a wilted banana leaf, folded and steamed to perfection! Soak the rice for about 4 hours and ground to a very fine paste. Don’t add too much water. Consistency should be like a thick dosa batter. Add a pinch of salt and set aside. Now proceed to make the jaggery syrup by dissolving the jaggery in ½ cup water. Strain the impurities before proceeding with syrup. Once it begins to boil, add the pressure cooked jaggery pulp, grated coconut. Stir till it leaves the sides. Set aside and allow it to cool. Wilt the banana leaf on slow flame so that it becomes soft. Grease the banana leaf with a drop of coconut oil. Swirl a small ladle full of batter on the leaf. Then, add a tablespoon of the jackfruit pulp. Fold and wrap the leaf and transfer to the steamer. Steam for about 20 minutes on low heat. Remove and serve hot. Note: Please make sure you wilt the plantain leaves well, otherwise it will become difficult to fold and wrap the banana leaf. This recipe was contributed by Ta Nuja as a contestant entry for our “Malabar food fest 2018“. If you are interested in participating for the event, please visit our food fest page to win an amazon gift voucher of 2,000INR. Have you seen other palakkad recipes? How to make Palakkad style Keerai Molagootal / Spinach - Lentil curry? 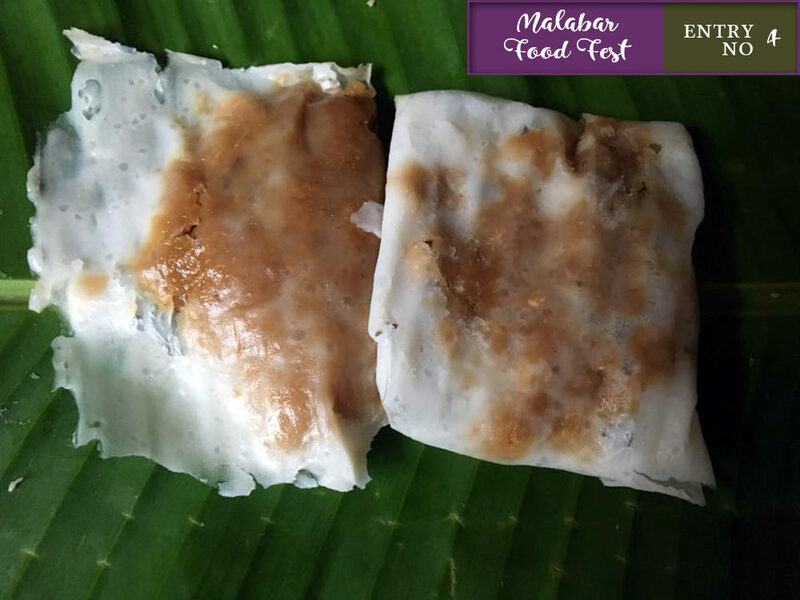 This entry was added on April 13th, 2018 by Renoos in Bakery and tagged with ela ada kerala recipe, malabar recipes, ela ada with banana leaf, nadan snacks, elai kozhukattai, spicy elai adai, jackfruit recipe, elai adai, malabar food fest. Last revised on April 13th, 2018. This recipe was contributed by Ta Nuja as a contestant entry in our Cheenachatti Malabar Food Fest – Win Amazon Gift Vouchers event.